Last year, the Standard Chartered Marathon Singapore saw some 50,000 participants, more than eight times the mere 6,000 it started out with one decade ago. The number of Singaporeans gritting their teeth through endurance running has been increasing exponentially each year. However, while more lace up to go the distance, not many understand the risks of running. Whether you’re an elite or an amateur, some common injuries sideline all runner, and here are three of them. Over 40% of all running injuries affect the knee, of which the patellofemoral pain syndrome (PFPS) is the most common, reported Runner’s World magazine. 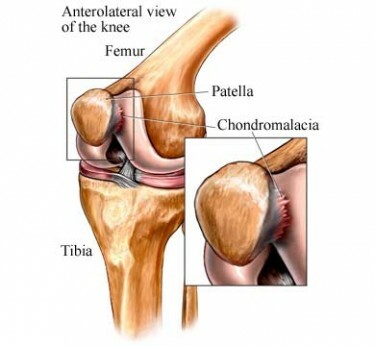 Commonly known as the runner’s knee, this ailment refers to pain on the underside of the kneecaps (or patella), when they do not track well while running. Normally, surrounding muscles hold the kneecap up in a straight line within the intercondylar groove. Tight muscles can cause the kneecap to go “off-track” and grate along the thigh bone (or femur), causing inflammation and pain. It can be aggravated by repetitive pounding on steep and uneven terrain, according to British Journal of Sports Medicine. Lubricant injection, Anti-inflammatory injection,physiotherapy and Medication. Plantar fasciitis is not as sophisticated as is namesake – every one in 10 runners falls prey to it, reported The New York Times. Victims feel a dull ache – usually worst first thing in the morning – along the plantar fascia, a long tendon that attaches your heel bone to your toes. Imagine the amount of stress it has to undertake during each step of your run! 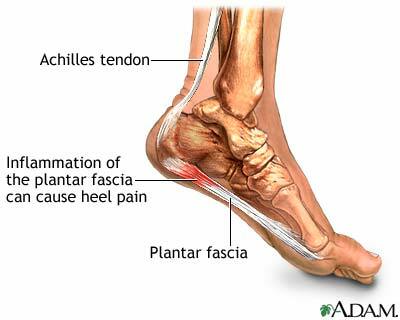 In severe cases of plantar fasciitis, even walking is problematic. A common cause is overpronation, an abnormal motion of the foot. Normally, while running, your arch will lower slightly as your foot rolls forward from heel to toe. Overpronation occurs when the arch dips too much. Flat-footed and high-arched runners are also predisposed to this injury. Shockwave therapy, Anti-inflammatory injection and Medication. Shin splints refer to pain at the front of your lower leg, which worsens when your toes or foot are bent downwards. Swelling or lumps may sometimes be felt on the shinbone. It usually occurs due to inflammation of the sheath surrounding your shinbone.